Are you mad about football? Well, you’ll have to test your knowledge against the hosts of what could be a brand-new podcast coming to Birmingham Eastside. 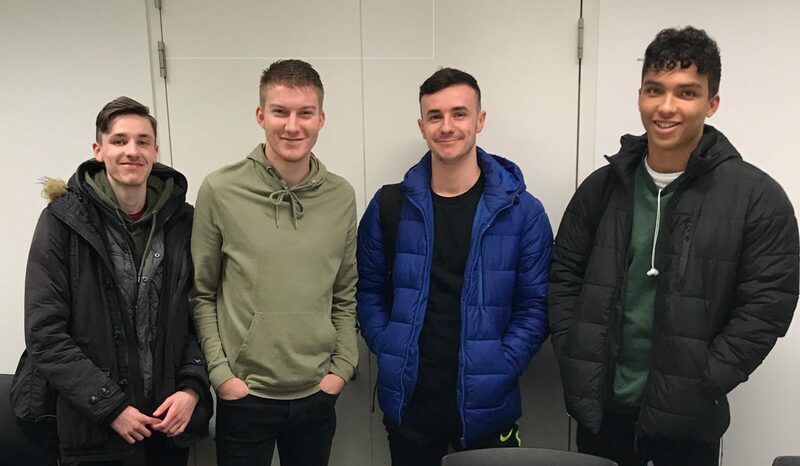 A View From The Stands (listen below) sees four BA Sports Journalism students at Birmingham City University in the studio hot seat. If you’re always arguing with your mates about which football team you support, if the price of season tickets get you mad and you think players need to talk to their supporters more, then you will love the pilot episode of this podcast. Tune in to join Conal Blanchette, Tom Hartley, Harvey Lawrence and Jordan Marks for the best 15 minutes of footballing chat and banter you’ll hear this side of the West Midlands. And make sure you let them know if you want to hear more.